Hello everybody Fall is in full swing and we are gearing up for the holidays. This month I am trying something new and I hope you will come down and check it out. Starting on November 1st and again on the 15th, I’m putting on a show that we are calling Poorhouse Millionaires and Friends. 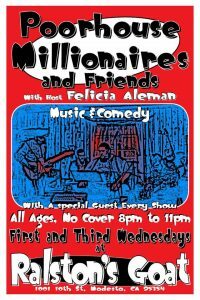 My MAMA Award-winning girlfriend Felicia Aleman will host and do her comedy then we will bring in a surprise guest to kick off the show followed by a couple sets from the Poorhouse Millionaires. It’s going to be a fun show with surprises every time. 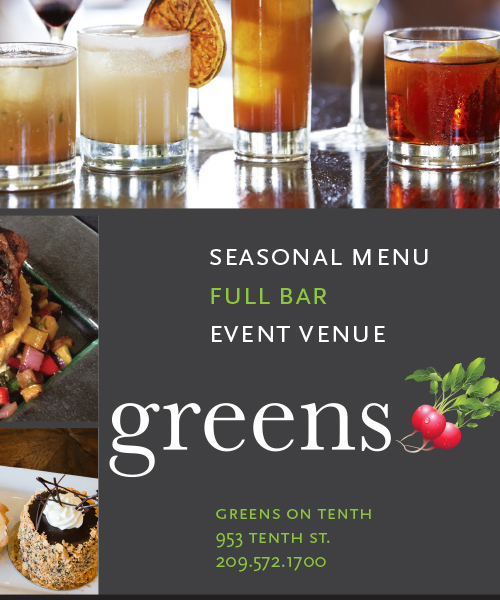 You can expect to see us the first and third Wednesdays of each month. Two great options on the 11th. First, you can check out AC Miles from Fresno up at Black Oak Casino. For those of us wanting to stay closer to home check out the Funky Blues Band at the Hot Rod Dinner in Ceres. The Funky Blues Band is a brand new act with some great well-seasoned musicians, make sure to check them out. They will be back at The Hot Rod Dinner on the 25th as well. Last month My band Big Earl and the Cryin’ Shame kicked off a great new concert series in Stockton at Valley Brew right on the Miracle Mile. It’s coming back this month on the 17th with AC Miles. AC is a seriously accomplished musician. He is a monster guitar player and has a great voice. He does straight blues as well as blues rock. I gotta tell you too, it’s a nice room and they have killer sound so if you can check it out. On the 18th I will be back with the Poorhouse Millionaires at the Rawhide Saloon in Jamestown. It’s a nice big room and I think it’s going to be a really fun night. The week after we are heading back to the Bourbon Barrel in Sonora as a trio, if you haven’t been, you should check it out. By this time next year, everyone will have heard of the this joint, its just getting started. To close out this month, take a trip to Moe’s Alley in Santa Cruz on the 26th and check out Guitarsonists featuring Chris Cain, Daniel Castro, Mighty Mike Schermer. 3 heavy hitter, I mean straight up monster players. I am going to sell a finger to get my gas money for this one if I have to. Major must-see show. Have a great month and I hope to see you out at a show.